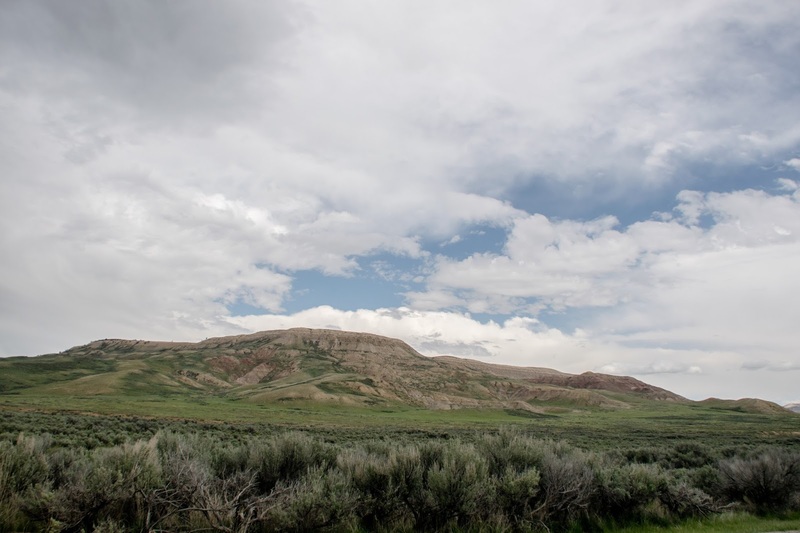 I left Green River, Wyoming under the dark threat of thunder clouds. My destination was Ririe, Idaho. Why will become clear in my next post. But first I drove west toward Kemmerer, Wyoming, the location of the first J.C. Penney store (once an American institution, it is now in danger of disappearing). Then I traveled back in time to 52 million years ago. Look at the image above. This unassuming butte marks the center of one of three huge lakes that covered Wyoming, Utah, and Colorado 52 million years ago. It also is the butte that gives Fossil Butte National Monument its name. It is an extraordinary place. Here some of the best fossils in the world are preserved in the millions of years old lake sediments now turned to limestone. This is the Green River Formation. The fossil record here is so complete that this long dead lacustrine environment can be imagined and known in the highest resolution. Imagine a lake teaming with many kinds of fish, snails, crustaceans, crocodiles, and turtles surrounded by huge palm trees and flowering plants. Imagine four inch long damsel flies buzzing along hunting other unsuspecting insects. Spiders too lurking in their webs awaiting meals and deep below them in the shade millipedes wind their way along secret paths. Snakes slithered here too. 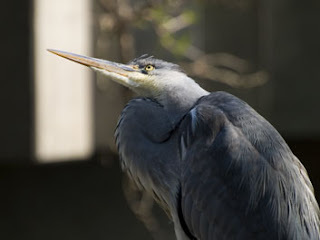 By day birds ruled the skies and at night bats took over, feasting. Dog-sized horses came to the lake shore for water, as did early primates resembling lemurs. This is Fossil Lake, 60 miles long and 40 miles wide, surrounded by mountains and a forest made of ferns, palms, maples, oaks, beech trees, and willows. This is the Eocene Epoch. Now look at the image again. Looks a little differently now doesn't it? There are hiking trails to explore here but I was prevented by the weather from enjoying any outdoor activities, as well as doing much in the way of photography. But the visitor's center is one of the most amazing places I've ever visited. Here you can see fossilized feathers and a fish with another fish in its mouth, perfectly preserved birds, snakes, seeds, flowers, bugs, and every other amazing thing discovered here. Come here. Have your mind blown. I hit the road again traveling northwest. I drove through mountains shrouded by clouds and rain. Occasionally, a break in the clouds would make the snowy tops of said mountains glow like ghostly illusions suspended in the sky. I drove north up Route 89 through many small towns that dot the Star Valley. 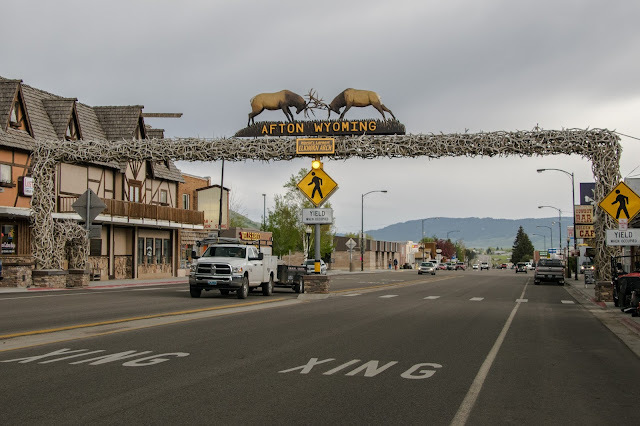 One, Afton, had a magnificent arch in the center of town made of shed elk antlers. In fact, its the world's largest elk antler arch. I didn't even know such a thing existed. But it does. And I've now seen it. I drove some more, now turning northwest again up the Swan Valley, along the Snake River. I drove out of the current bout of storms and sun almost came out. I stopped at the Rainey Creek Country Store for square ice cream. You just have to. Square ice cream. Its a thing. The smiley face in the middle was a total fluke but it pretty much reflects how I feel about snarfing down this ginormous amount ice cream for supper. Then I arrived at my destination: Granite Creek Ranch. More on that in my next post. You'll understand why I never wanted to leave.